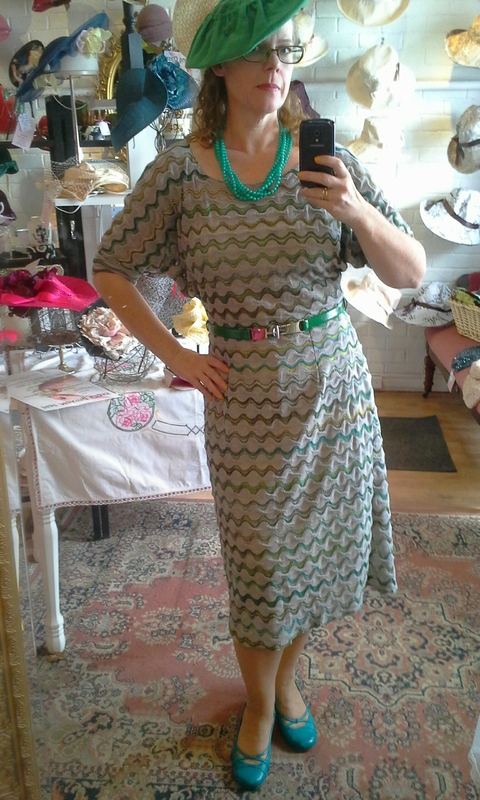 Finished dress with a 1940s hat made in my studio and plastic necklace circa 1960s. I have recently been coveting 1930s knit dresses but the sizes and the prices were not the right fit for me. Sara had a bat wing jersey knit shirt which looked very 30s so I decided to make a copy and turn it into a dress. 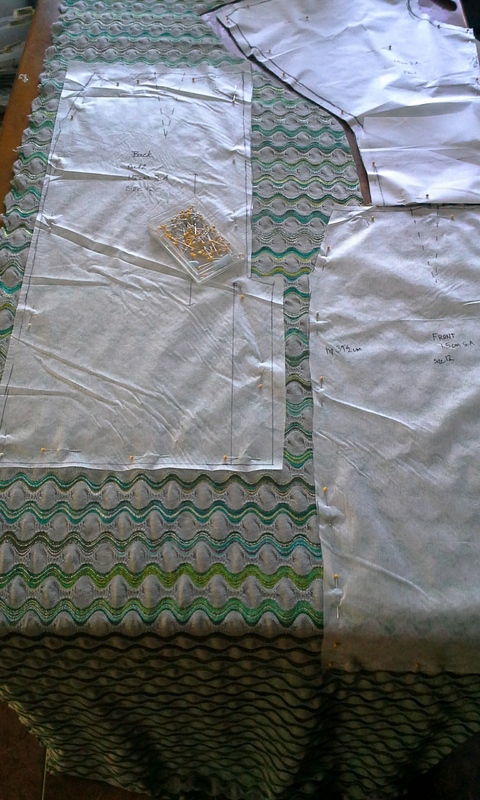 First I used pattern trace material and pinned it very carefully to the t shirt marking the grain and the centre front on the fold. 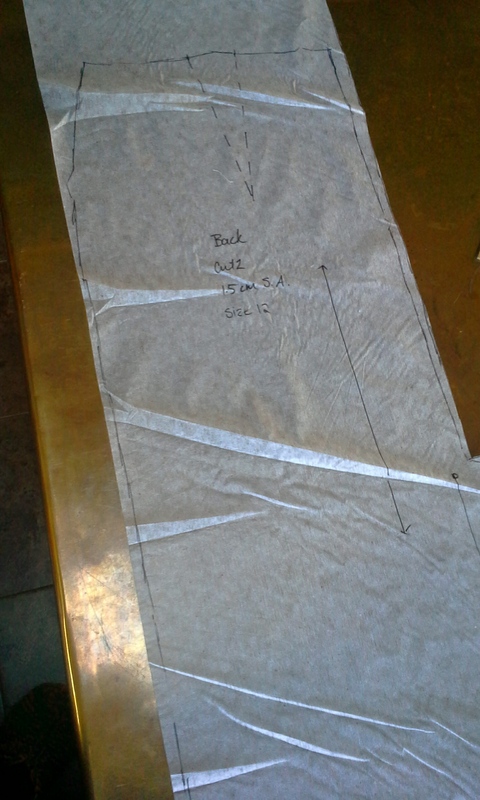 As you can see I added a seam allowance of 1.5 cm and made a front and back as well as sleeve cuff. 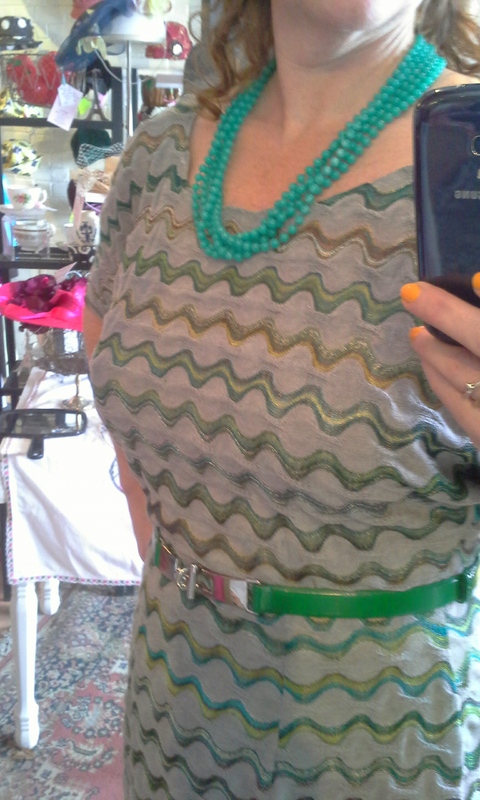 The shirt had a lower hem cuff which I eliminated. 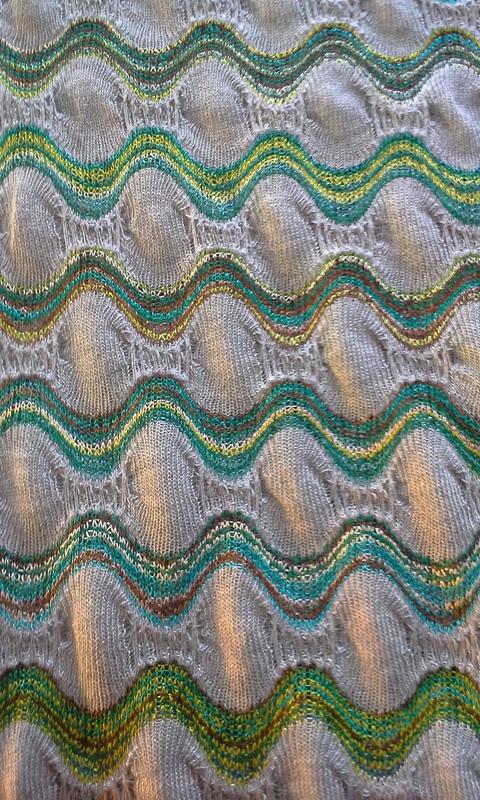 I found some sweater knit with this amazing green wavy line in a shine. 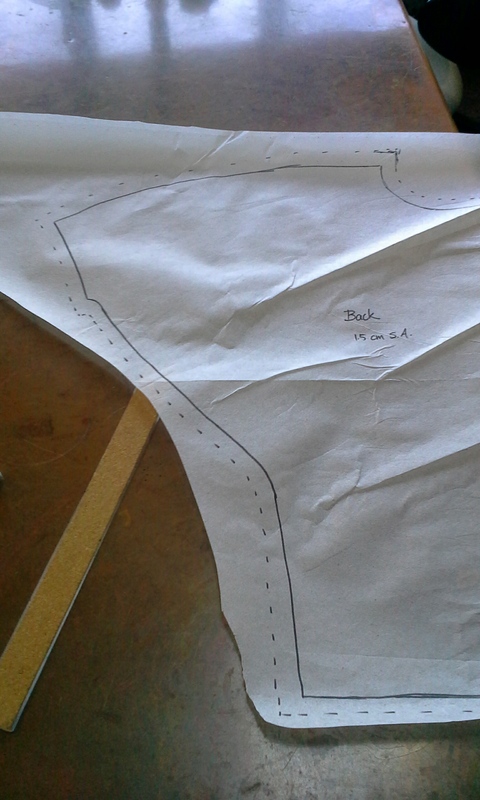 I then decided to add a waist seam instead of making long seams since I assumed the sweater knit might just stretch and stretch to the floor. 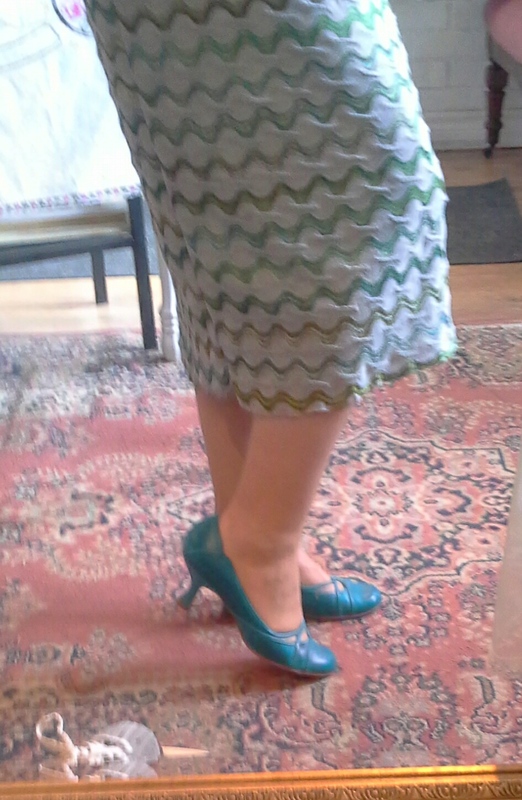 I used the skirt part of a pattern I’ve made lots since I knew the fit. I eliminated the hip faux pockets and added length to be 30s. I sewed up the dress, tried it on and only needed to raise the waist line so it would fit in a more historically correct fashion. It was very quick to make up and I’m very happy with it. 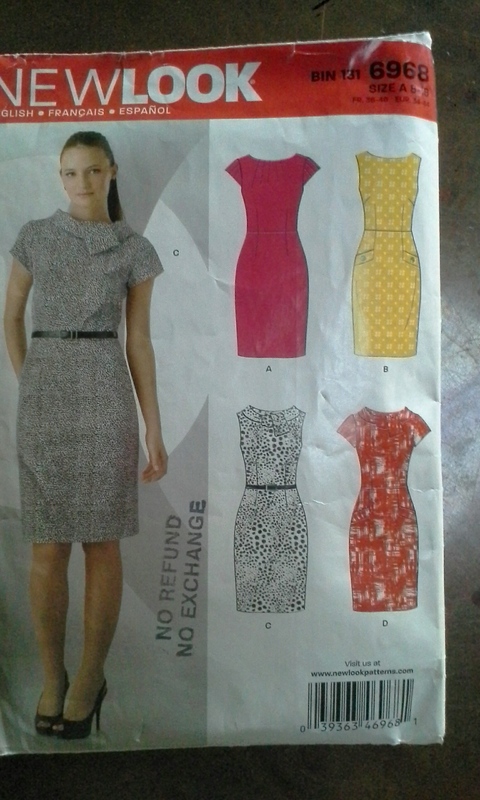 I have already decided on the next fabric for it that will need a full slip to match. 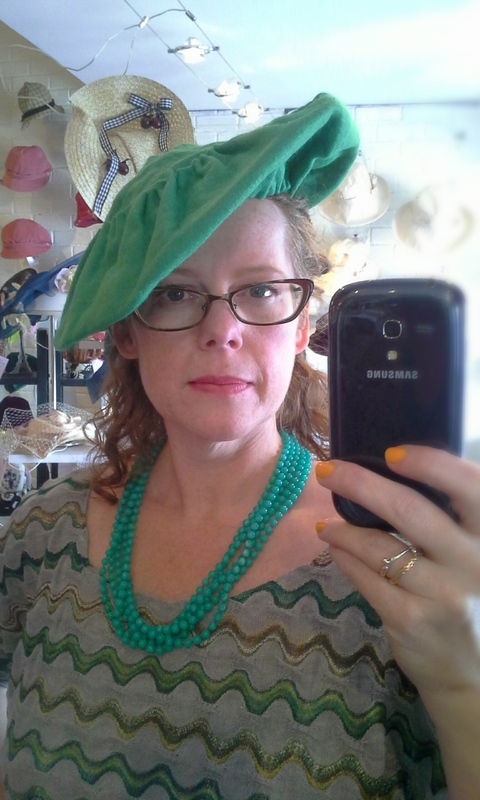 I need to make a matching hat for warmer weather since the wool one I am wearing will be far too warm soon. I am wearing thrifted shoes and belt and I’m in my studio with better light and a fab mirror. Posted in Card Catalogue, In The Shop and tagged 1930s, 1940s, dress, fashion, hatshop, sewing, style, vintage fashion. Bookmark the permalink.